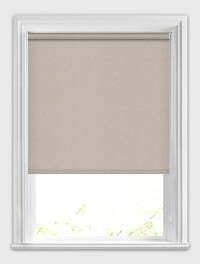 If you are looking for a soothing yet practical way to dress the windows of your kitchen or bathroom window, or any room of the home where moisture and humidity are present, then these luxurious custom made beige moisture resistant roller blinds with their beautiful calming tones are the perfect choice. Appreciated the generously-sized sample that was sent through, the phone response re the discount code and email response re measurements. The blinds arrived within two weeks of ordering as promised with a high quality finish and were straightforward to fix. I'm very pleased indeed with my custom made blinds! I'd certainly recommend English Blinds to others. Thank you! Good service. Prompt delivery. Nice product. Perfect for our bathroom. Easy to install and easy to use and clean. Will definitely purchase again when needed. I have used English Blinds before so there was no hesitation in using them again. 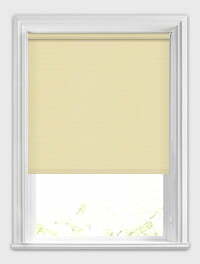 Ordering procedure was easy to use as both blinds ordered are of precise size and quality. 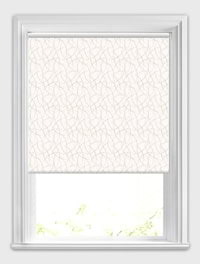 This particular order was for kitchen blind in a soft pink and looks amazing. As you can tell I would recommend using them. The service was excellent. It is very helpful to be able to request samples. The blinds were very good quality.